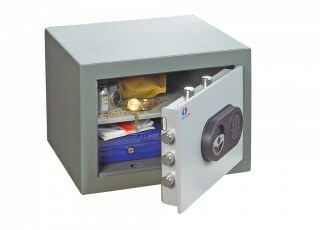 The Secure Safe Castelle is designed to protect high-value items and cash within the home or business environment. 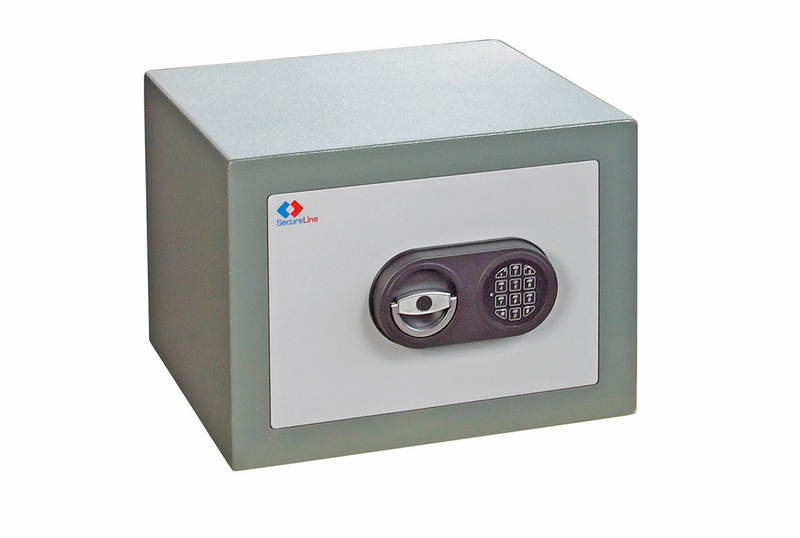 The safe offers a high level of protection and is tested and certified according to CEN 1143-1 Grade I. The Secure Safe Castelle is available in five sizes. Each size has the option of either key locking or user-friendly electronic locking. The walls of the Secure Safe Castelle contain a special barrier designed to resist the effects of drills, hammers, chisels and cutting equipment and have an overall thickness of 45mm. The door is constructed from 8mm steel plate together with strengthening plates and has specially hardened anti-drill plates protecting the lock, bolts and boltwork. The door is secured by a three-way moving bolt mechanism. The door has three hori- zontal bolts and two sets of vertical bolts, with two bolts operating upwards and two downwards. All the bolts are chrome-plated and measure 25mm in diameter.